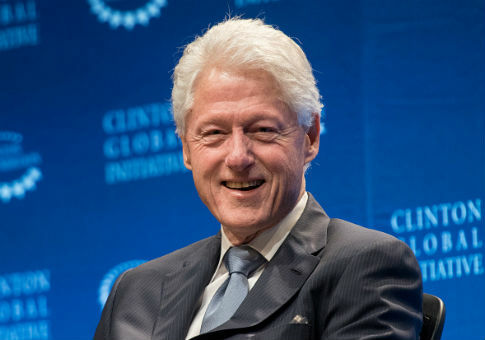 A number of prominent liberals and journalists have recently called for a reevaluation of the merit of the sexual assault allegations against former Democratic President Bill Clinton. "I Believe Juanita," wrote liberal New York Times journalist Michelle Goldberg, arguing that Juanita Broaddrick's claim of having been raped by Bill Clinton in an Arkansas hotel room rang true after dozens of women leveled similar accusations at Hollywood mogul Harvey Weinstein. Still, Goldberg argued she was justified in disbelieving the claims against Clinton during his presidency, arguing it was Republicans' fault for pushing conspiracies that made her discount other, more credible claims. The Atlantic‘s Caitlin Flanagan also called for a "reckoning" of Clinton. "Feminists saved the 42nd president of the United States in the 1990," she wrote. "They were on the wrong side of history…"
"It was a pattern of behavior; it included an alleged violent assault; the women involved had far more credible evidence than many of the most notorious accusations that have come to light in the past five weeks," she notes. Clinton was also accused of groping White House employee Kathleen Wiley and sexually harassing Paula Jones in Arkansas; he eventually settled out of court with Jones for $850,000. In a recent tweet thread, MSNBC's Chris Hayes called for a reexamination of Clinton, and like Goldberg, called attention to the similarities between Broaddrick's allegations and the conduct of Weinstein. CNN's Jake Tapper also argued Monday that "the accusers of Bill Clinton back in the '90s were never given the credence and treated with the same respect that these women are being treated and I think that there is something to be said about how society has evolved since then." "It's hard not to look back at that period and think, ‘You know what? The media treated those women poorly.'" This entry was posted in Politics and tagged Bill Clinton. Bookmark the permalink.